This place is beautiful!!! 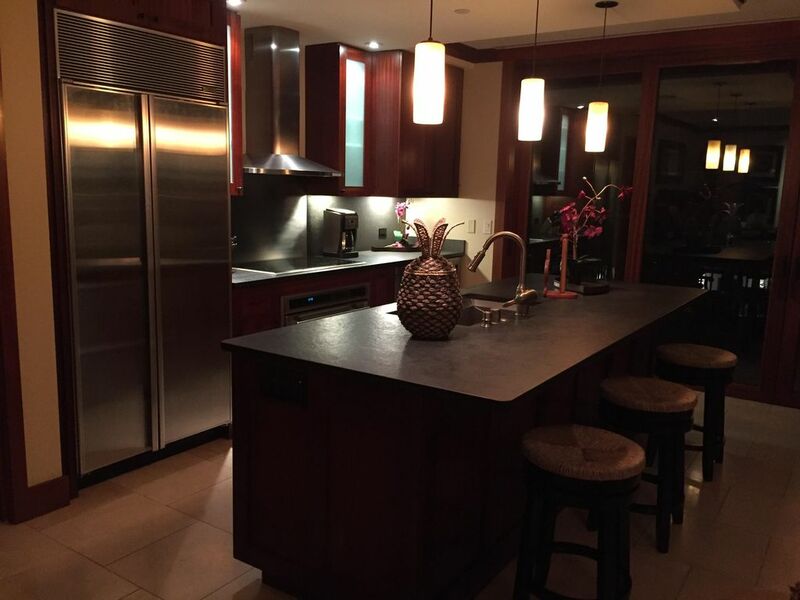 The kitchen had everything we needed, the living room was a great place to gather, the beds were extremely comfortable, and the lanai was a wonderful place to relaxx On top of the beautiful condo, the resort grounds are gorgeous! Several hot tubs, two pools (one has sand for the littles), lovely koi ponds, a large workout room, and quick access to a very protected and safe lagoon. Don’t hesitate to rent this place. We can’t wait to go back!